There are 379 guests and 1 registered user on-line. The new Mark May Band Live cd is now available at Flyindog Records, CD BABY, and Cactus Records, Houston, TX. 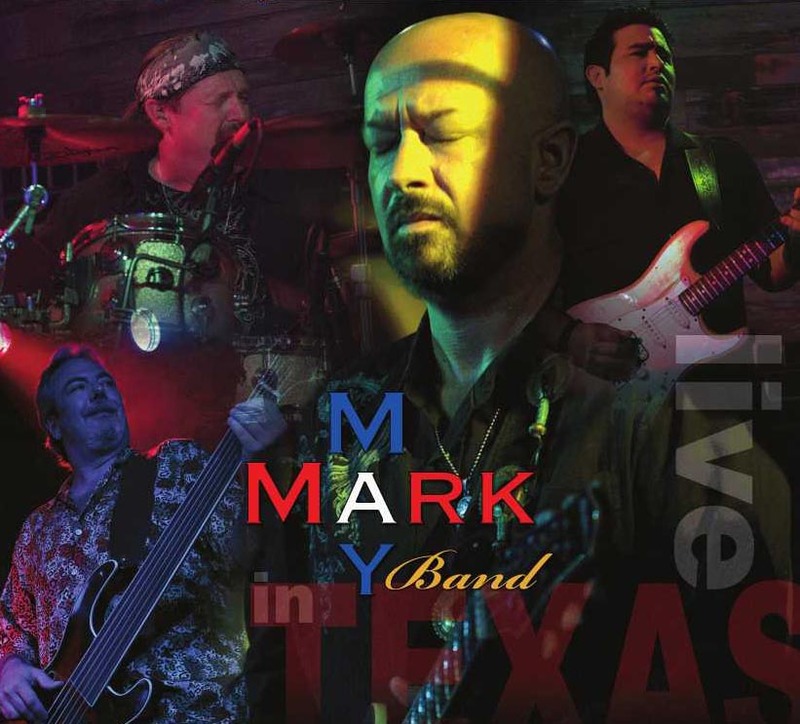 The Mark May Band has officially released its 4th cd, "IN TEXAS LIVE" (Flyindog Records, LLP, 2009). The new cd is the band's first live album and presents a compilation of live songs recorded during 2002-2009. The cd features Mark's smooth vocals, along with the dynamic twin leads and dual electric harmony guitar work the band is known for. The Texas-based blues rock band's new cd includes Mark's original songs, classic blues, and even steps into the jam band territory on this outing with their versions of "Ohio" and "In Memory of Elizabeth Reed". The cd spotlights the current band members, Dan Cooper (bass), Paul Ramirez (guitar) and Clyde Dempsey (drums), in addition to former guitarists including Kirk McKim (Pat Travers Band), Kenny Cordray, and Matt Johnson. This cd finally gives the people a taste of what the band's live show is all about! Mark May was guitarist, vocalist, member of Dickey Betts and Great Southern from 2000-2001, and recorded the cd Collectors II/Let's Get Together (Dickey Betts and Great Southern), which features 2 songs written by Mark May. 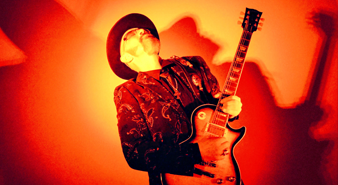 Mark has been featured in Guitar Player, Guitar World, Blues Revue Magazine, Vintage Guitar.. The band is currently getting heavy rotation on Sirius/XM Radio BB King's Bluesville. Telephone Road-Houston, Texas (Icehouse Records, 1997) featuring special guests Larry McCray, Eric Demmer (Clarence Gatemouth Brown), Alan Haynes, Memphis Horns, Travis Doyle. On Doll Maker (Textone Records, 2003), guitarist/vocalist John Zuliger "JZ", along with special guests Dickey Betts, Jr. Ortiz and Skip Nalia, joined Mark, Greg and Dan for the 3rd cd. Also, look for the ToneQuest Report Magazine interview coming early 2010. To join our email list and receive the latest Mark May Band news and updates, please send an email to markmayband@yahoo.com and write "subscribe" in the subject line. The Mark May Band would like to welcome Paul Ramirez on guitar! We would also like to welcome Clyde Dempsey back on drums, and send out a special thanks to Mark Dufrene! The Mark May Band would like to congratulate their former band member Kirk Mckim on his joining the Pat Travers Band! They are gearing up for a summer tour so go check them out if you get a chance. Visit the Pat Travers official website at www.pattravers.com, or check out the latest pictures of the Pat travers Band with Kirk on guitar and vocals at St.Petersburg and Fort lauderdale at http://www.pattravers.com/slideshows/st_petersburg_2005/ and http://www.pattravers.com/slideshows/fort_lauderdale_2005/.